THE Prime Minister Peter O’Neill has urged interested parties in the Manumanu land deal to be patient. 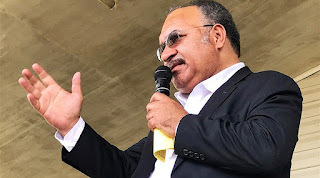 In a short statement, Mr O’Neill said: “I have seen public comment in the news media on the Administrative Inquiry into the Manumanu land deal. “The final report has not been presented to the government. “Once the final report has been presented to the government it will be released to the public and prepared for tabling in the National Parliament. “All interested parties need to remain patient and not seek to pre-empt the outcomes of the inquiry. “This is a serious matter and the outcome will be finalised in an appropriate timeframe.